Thank you to everyone who entered our Mother's Day flowers competition. 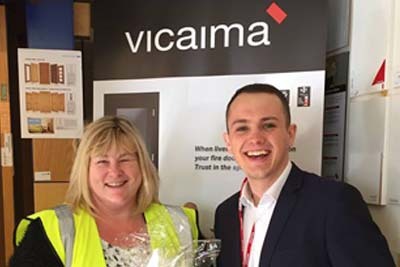 Congratulations to Charlotte Adam from Vicaima, one of the leading European manufacturers of interior doors. Charlotte correctly answered that the plant "Lonicera Periclymenum" is better known as the "honeysuckle" or "woodbine". She wins a spectacular bouquet of flowers worth £50, courtesy of our friends at The Floral Studio in Perton, which she requested were sent to her Mum to celebrate Mother's Day! "Easter Island is a special territory of which South American country?" Email your answer and contact details to jackie@jackiekerrrecruitment.com and the lucky winner will be drawn from the correct answers on Friday 21st April 2017 - good luck!